Everything was completed and finished in order for ALL men to experience wholeness, health, peace, freedom and prosperity in EVERY area of life. Speak out those heart’s abundances… those treasures in you… all those blessings that are already yours! I love the ETERNAL message of these verses 4-6… the COMPLETENESS, WHOLENESS of who we have ALWAYS been! Mirror Bible: (4) He associated us in Christ before the fall of the world! Jesus is God’s mind made up about us! He always knew in his love that he would present us again face-to-face before him in blameless innocence. (5) He is the architect of our design; his heart dream realized our coming of age in Christ. (6) His grace-plan is to be celebrated: he greatly endeared us and highly favored us in Christ. His love for his Son is his love for us. Ephesians 1:7-10: In whom we have redemption through his blood, the forgiveness of sins, according to the riches of his grace;(8) Wherein he hath abounded toward us in all wisdom and prudence;(9) Having made known unto us the mystery of his will, according to his good pleasure which he hath purposed in himself (10) That in the dispensation of the fulness of times he might gather together in one all things in Christ, both which are in heaven, and which are on earth; even in him. It was not a “reaction” to Adam’s fall. Deut 32:18: Of the Rock who begot you, you are unmindful, And have forgotten the God who fathered you. what was His original thought or blueprint design regarding mankind? Before Him is katenopion which suggests the closest possible proximity, face-to-face! Nothing separating us… nothing between us and God! v. 4 – chosen! holy! blameless! spotless! v. 5 – sons! heirs! v. 6 – graced! LOVED! And now in verse 7 forgiven – ALWAYS forgiven and redeemed! Remember Deut 32:18: Of the Rock who begot you, you are unmindful, And have forgotten the God who fathered you. Col 1:26: even the mystery (the Gospel) which has been hid from ages and generations but now is made manifest to His saints, Christ in us the hope of glory. who was sacred to God? ALL men — John 3:16 for God so loved the world! this verse is saying that the good news that has been hidden from ages and generations but now has been revealed to His sacred ones is the unveiling, the revelation of something that was always true but was lost — which is Christ in us, the hope of Glory. again remember Deut 32:18: Of the Rock who begot you, you are unmindful, And have forgotten the God who fathered you. and what was the plan? 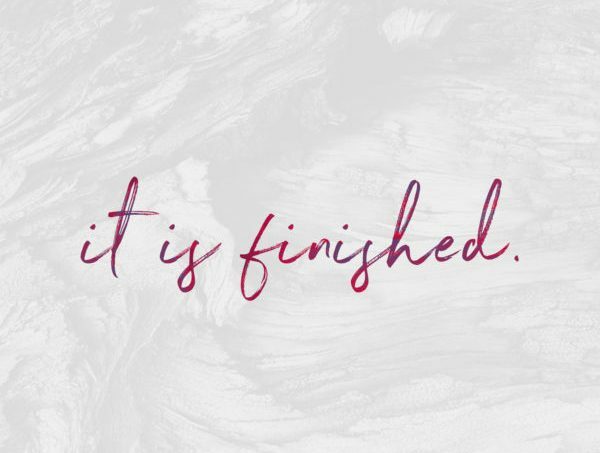 Saved here is sozo and means delivered, healed, prospered, wholeness – nothing missing, nothing broken. Verse 10 – but now is made manifest (or revealed) by the appearing of our Savior Jesus Christ! the fall didn’t change God’s mind about us! We were still who He said we were! The Gospel was before the foundation of the world! Heb 4:3: for we which has believed do enter into rest as He has said as I have sworn in My wrath if they shall enter into my rest although the works were finished before the foundation of the world. The incarnation of Jesus was the “revealing” of what had become a “mystery” to man at the fall of his conscious awareness of who he had ALWAYS been before the foundation of the world! His redemption was an eternal redemption that was revealed in time through the incarnation of Jesus!